Interreg IPA CBC Hungary-Serbia 2014-2020 (76,6 million of euros). The EU contributes to the programmes with over 740 million of euros from the European Regional Development Fund and the Instrument for Pre-accession Assistance. 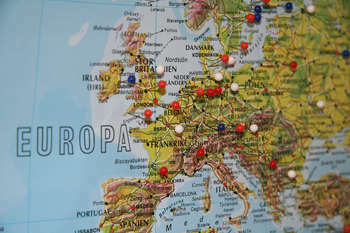 EU investments under these seven programmes focus on the following priorities, with funding adjusted to the regions' specific needs: increasing the innovation of local small businesses, preserving natural and cultural resources to develop sustainable tourism activities, improving cross-border connectivity and labour mobility, promoting enhanced cooperation between public institutions and civil organisations and encouraging the joint management of natural risks. "Our Interreg programmes are tangible examples of how the EU is working to help citizens address common challenges and tap into shared potential, while promoting solidarity beyond regional borders", Commissioner for Regional Policy Corina Crețu said.